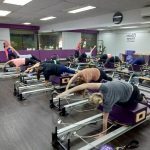 90-min* Pilates Reformer First Class @ $35 (worth $65) Bring a friend along for FREE! Bring a loved one along for FREE! Bring along a loved one to attend the same class with you for FREE. Only applicable for same class slot with single payment transaction (i.e. Both of you can attend the same trial class for $35 in total). Enter your friend mobile number and email under “comment”. Please register me for reformer trail class. Hi, may I know what is the schedule for the reformer trial? Please choose either Weight Loss with Reformer Introduction OR Body Aches with Reformer Introduction as your first trial class. Hi i am interested in the reformer trial class. According to your website it cost $30 and its free for a friend that i bring along? May i know the availbility dates for the trial class? Please choose either Weight Loss with Reformer Introduction OR Body Aches with Reformer Introduction as your first trial class. We have sent an email invitation with details of our trial classes to you. Please call our studio at 8322 9552 (Serangoon) or 9184 7622 (Telok Blangah) should you require further information or assistance in booking of the class. Thank you. Hi Rachel, We have sent an email invitation with details of our trial classes to you. Please call our studio at 8322 9552 (Serangoon) or 9184 7622 (Telok Blangah) should you require further information or assistance in booking of the class. Thank you. Please sign me up for trial “Reformer – Weight Loss with Reformer Introduction” class @ serangoon on Mon 25 Jan 13:30 – 15:00. Alterntively, do u have any trials for body conditioning? Our studio associate has booked slots for you and your friend for the Reformer – Core & Body Aches with Reformer Introduction Class, on Monday (25/1/16) from 5.30 pm to 7 pm at Serangoon Garden. Please call the studio at 8322 9552, for any changes. Thank you. hello, after registering will i receive an email?